Join us for a fun holiday-themed evening of lettering! 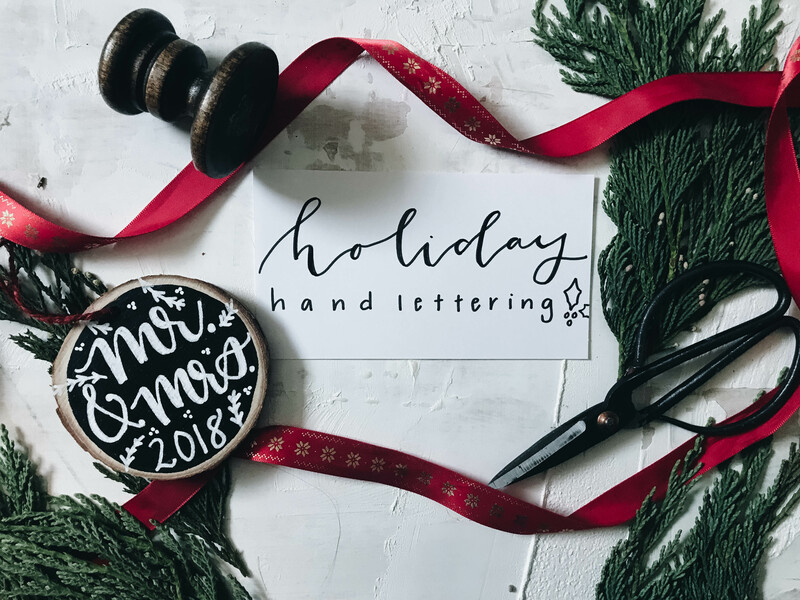 Local calligrapher Rachel Johnson will begin with alphabet exemplars, practice sheets, tips and tricks for getting into hand lettering, then transition into helping you create unique + adorable holiday ornaments! This is the perfect jump into a new hobby that is fun to pick up. If you’ve ever wanted to learn calligraphy or lettering, this is a great starter course to introduce you to the basic concepts in a relaxed environment. A minimum of 8 students will be required to hold the workshop. If that minimum is not met, the class may be cancelled. All tickets are transferable, but non-refundable.